What Is A Pastor And His Role In Church Government According To The Bible? If you are interested in learning what Bible says about church government, you have come to the right place. If you come hoping to validate what you already believe about the subject, you come with the wrong motive. Honestly ask yourself the question, “Do I really want to know what the Bible says on church government?” If so, you be will obligated to keep it since it is taught in God’s Word. I’m going to show in a series of posts what the Bible teaches as a proper church government. No government will be perfect because man is at the helm. And because man is at the helm, one group advocating one style of government will point to the flaws of a different style of church government based on experiences. However, none of that really matters. The only thing that matter is what the Word of God teaches on church government. We are to follow that model and only that model even when difficulties come. Then we trust in God to help us through the difficulties. In this series I am going to prove by the Bible that the Pastor-led model of church government is the only model taught and demonstrated in the Bible. I am going to prove by the Bible that the term “Elder” is synonymous with the words “Pastor” and “Bishop”; it is not a separate office from that of the Pastor/Bishop. I am going to prove by the Bible that a church is to be led by a single Pastor/Elder/Bishop, not a group of “Elders” or “Deacons”. I am going to prove by the Bible that any type of voting or forming of committees to make church decisions, other than to find the person to fill the open position of Pastor, is entirely unbiblical and destructive to the local church. Mat 9:36 KJV But when he saw the multitudes, he was moved with compassion on them, because they fainted, and were scattered abroad, as sheep having no shepherd. Mat 26:31 KJV Then saith Jesus unto them, All ye shall be offended because of me this night: for it is written, I will smite the shepherd, and the sheep of the flock shall be scattered abroad. 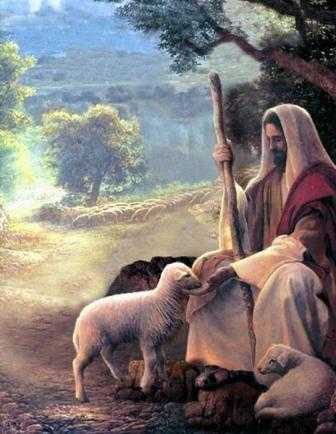 Mar 6:34 KJV And Jesus, when he came out, saw much people, and was moved with compassion toward them, because they were as sheep not having a shepherd: and he began to teach them many things. It is interesting that the Lord would use the term of a herdsman who watches over sheep to describe this office in the Church. It is evident that the Pastor has an overseeing role within the local assembly. The Pastor oversees the sheep. Do the sheep tell the shepherd what to do? No, of course not, no more than we as God’s sheep tell Jesus, the Head Pastor, what to do. The shepherd is the “presiding officer, manager, director, of any assembly” according to Thayer’s which is precisely what the term “shepherd” means in relation to the sheep. Webster’s 1828 Dictionary defines the word “Pastor” as, “A shepherd; one that has the care of flocks and herds; a minister of the gospel who has the charge of a church and congregation, whose duty is to watch over the people of his charge, and instruct them in the sacred doctrines of the Christian religion.” Therefore, based on the concept of the Pastor being a shepherd and the definitions of the word “Pastor” according to Thayer and Webster, it is evident that the Pastor alone holds this role of overseeing the sheep. It is not someone else’s job. The office of Pastor was created by the Lord Jesus to oversee the local assembly of God’s sheep. Part 2 What is a Bishop? Part 3 What is an Elder? Biblical Church Government Part 2- What Is A Bishop?